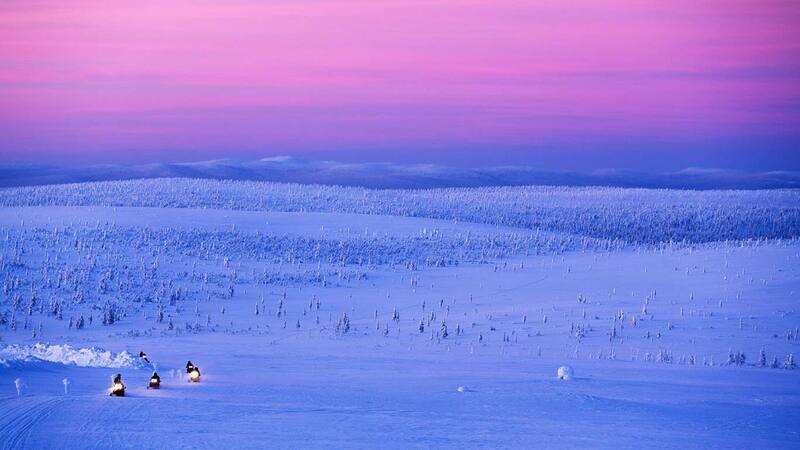 The polar night, or kaamos, is a magical period in Lapland. 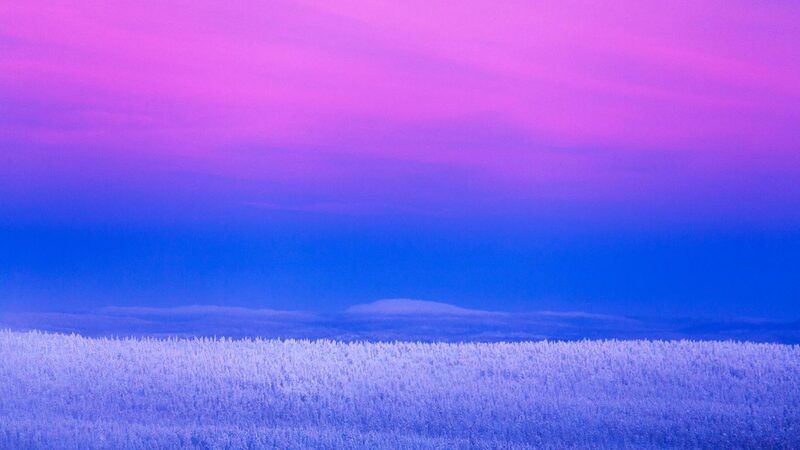 The blue light of twilight, metres and metres of snow, and extreme frost – this is what the heart of winter is made of. 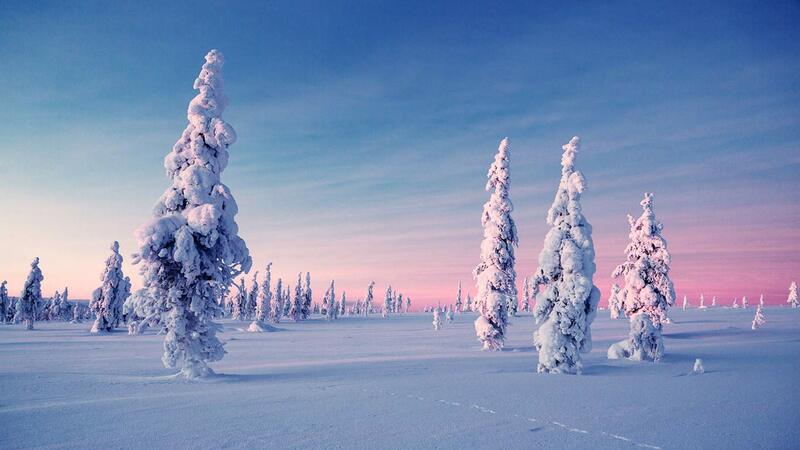 In January, when the sun finally rises after its long retreat, the days quickly grow longer. 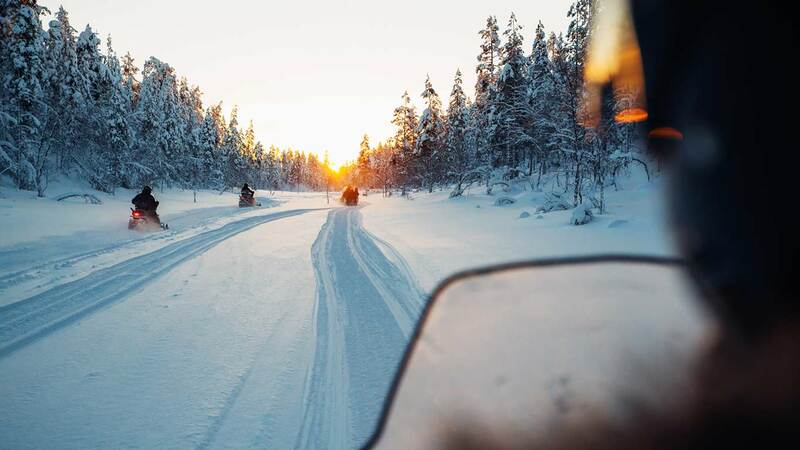 What could soothe the soul more than skiing on densely packed snow or taking a snowmobile out in the crisp, bright winter sunshine? 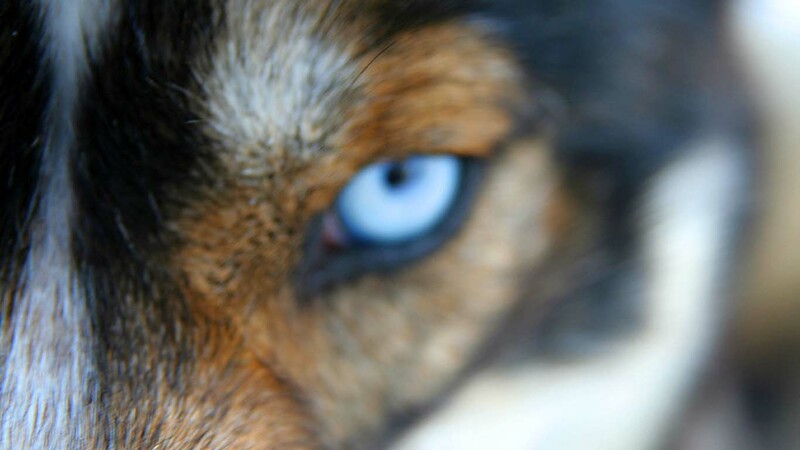 There are two big husky farms right next door to Kakslauttanen. 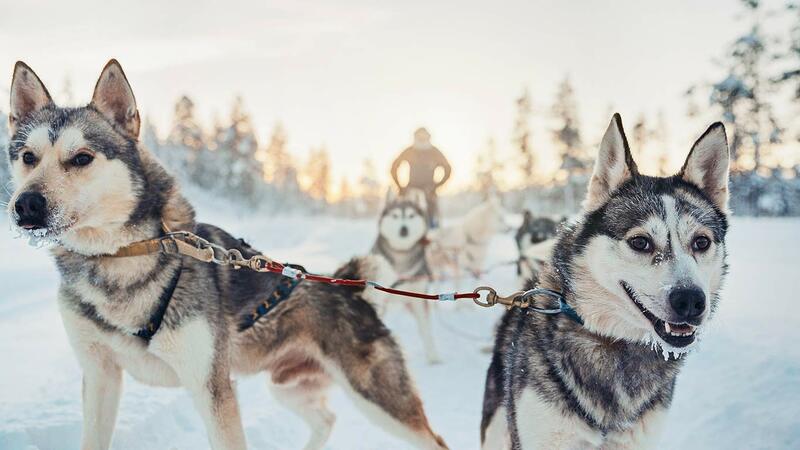 It won’t take you long to get a feel for steering huskies, and before you know it, you’ll be sledding through the wilderness drawn by these eager and friendly dogs. 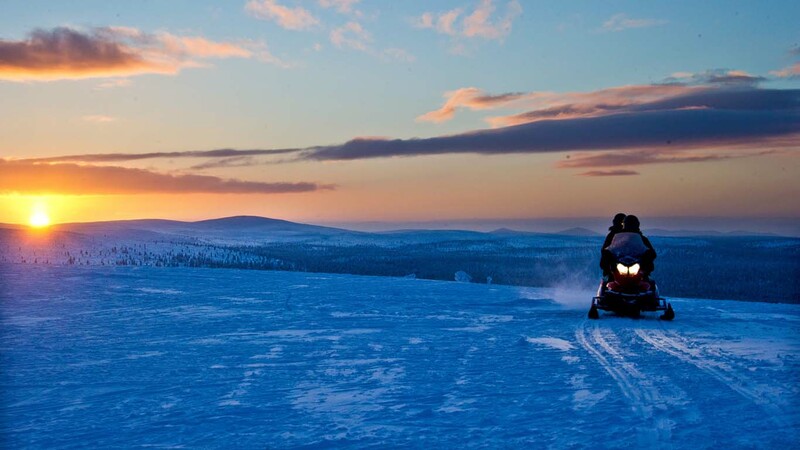 No petrol fumes, no rumbling engines – just you and the call of the wild. There is a range of safari lengths available, from a snappy 15-minute ride to a full-on overnight adventure. 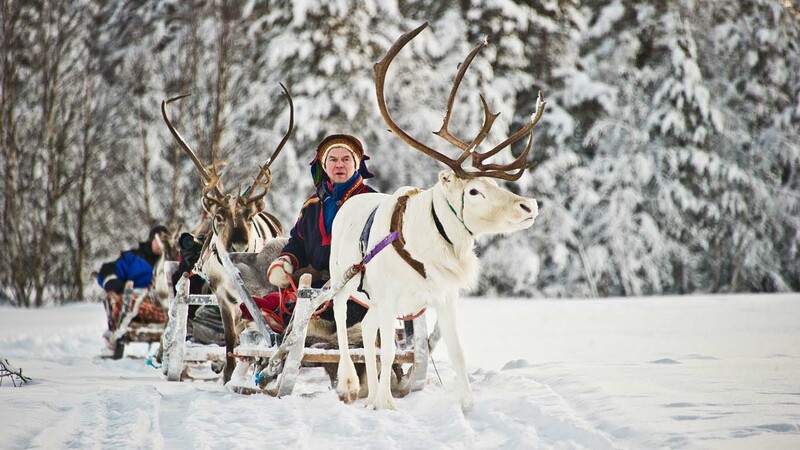 Our reindeer safari is a relaxing trip into nature, hosted by local reindeer herders. 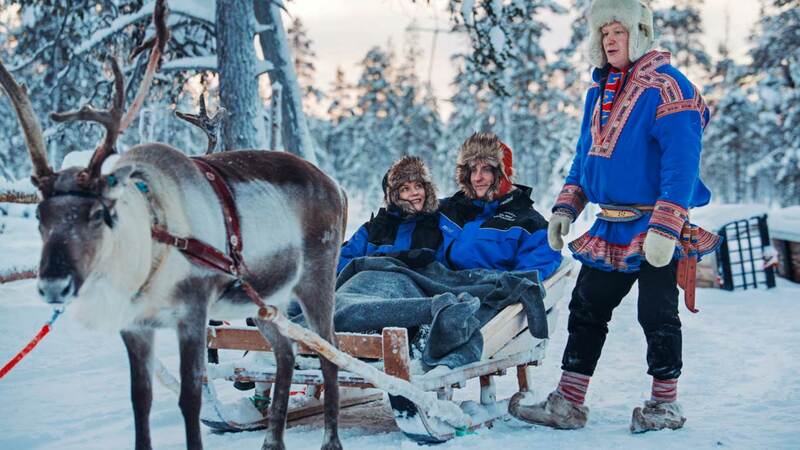 On a reindeer safari you can chat with the locals and connect with Sami people in an authentic way. We offer varying lengths of safari, with the longest including an outdoor lunch. 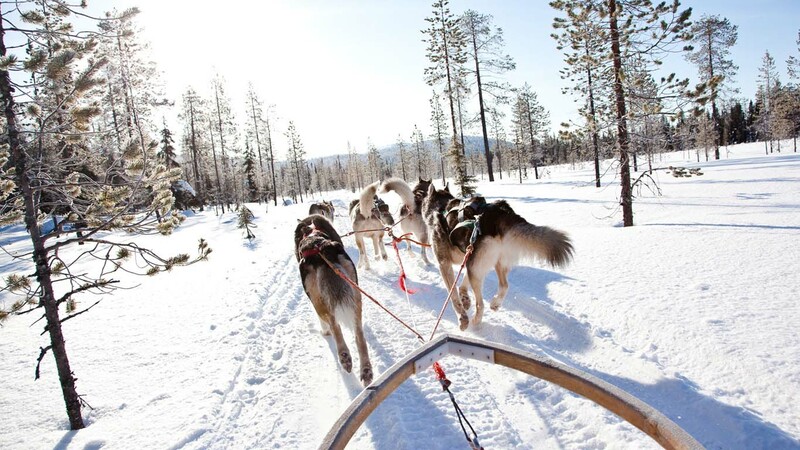 This is the fastest, loudest and most adrenaline-pumping way to get around in Lapland’s nature. 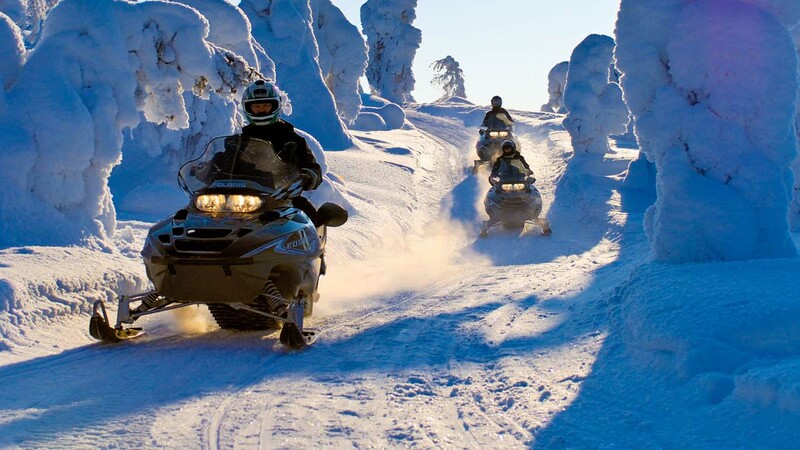 On our snowmobile safari, we’ll ride down the fell into the snowy forest, enjoying some of the best scenery the region has to offer. The two-hour safari includes an outdoor coffee break, while the four-hour safari includes lunch prepared over an open fire and enjoyed out in the open. 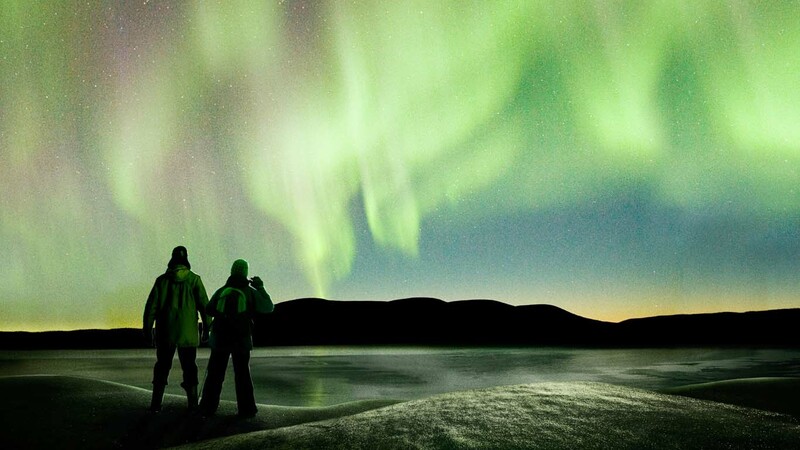 For those craving more, we also offer an overnight safari. 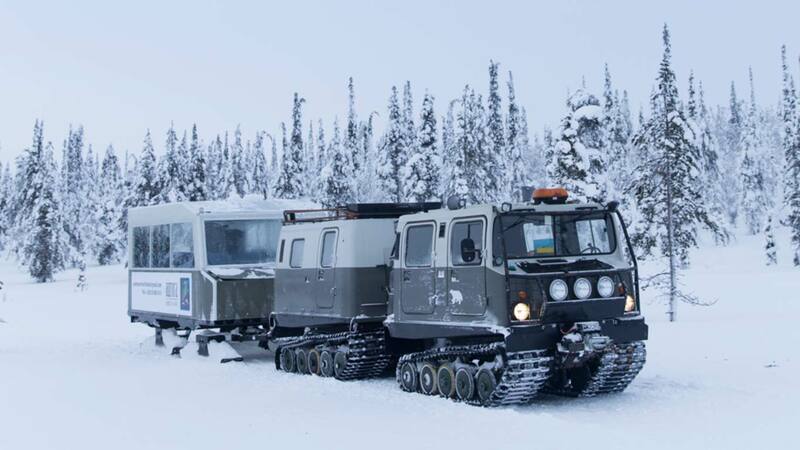 However cold and windy the weather, you’ll be warm and comfortable in our enclosed panoramic sleigh, pulled by our unique snow tank. We’ll take you across the snowy fells while you take in the beauty of the landscape surrounding you, with a guide to answer all your questions and tell you more about what you’re seeing. Choose from a two or three-hour ride, with a break for traditional refreshments on the way. 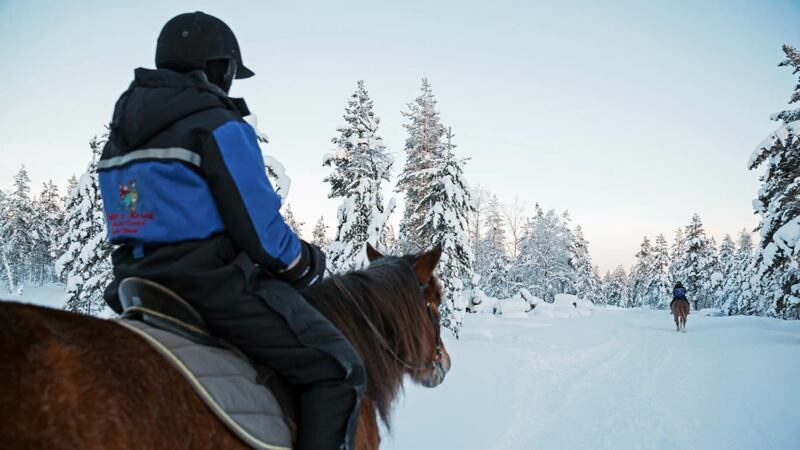 Winter horseback riding is worth a try, even if you’ve no previous experience. Children can also give it a try. 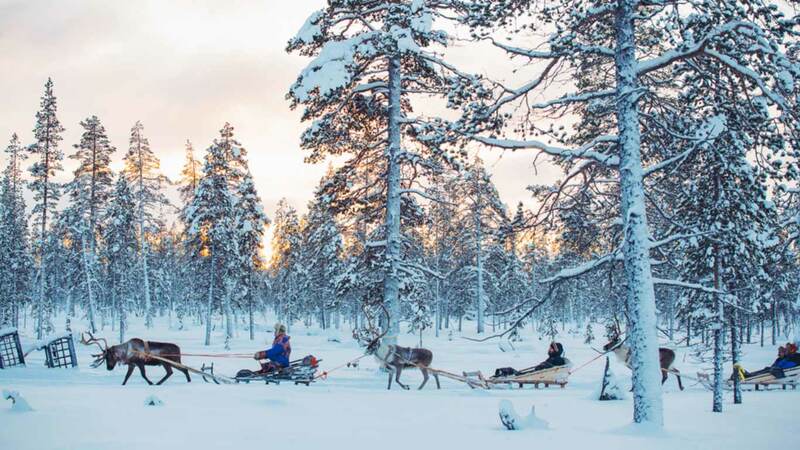 The Finnish Christmas comes to life in a special way when riding a sleigh, with the snowy forest around you, the sound of bells tinkling in your ears, and the comfort of warm blankets covering you. 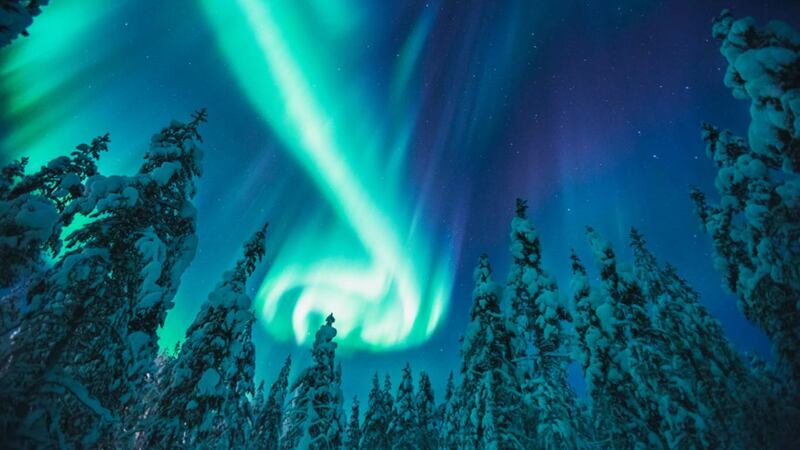 Seeing the northern lights casting their magical glow across the Arctic sky is always an impressive sight, but what makes it truly unforgettable is a special trip to chase this natural phenomenon. 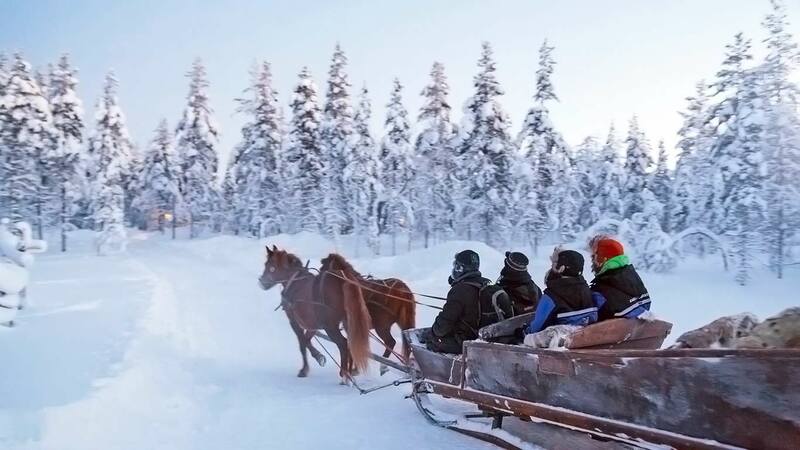 Imagine a nocturnal adventure in the wilderness, riding a sleigh drawn by a reindeer or horse, enjoying the panoramic views from the snow tank’s sleigh, speeding along on a snowmobile, or perhaps gracefully gliding on skis. 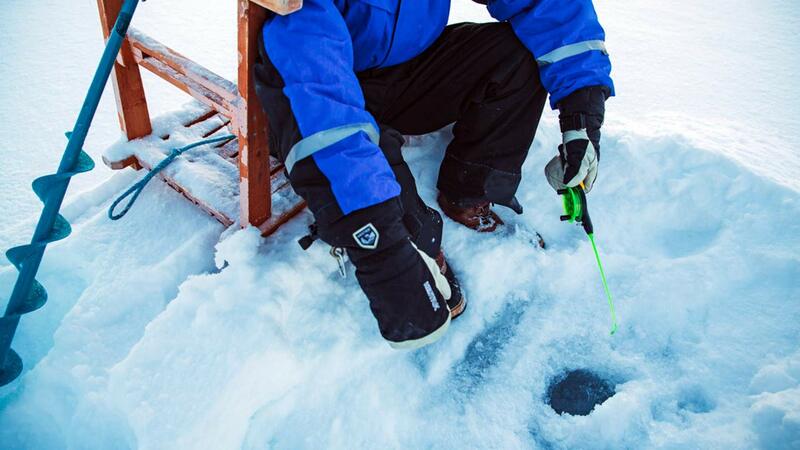 How about going ice fishing on Inarinjärvi with a local guide? 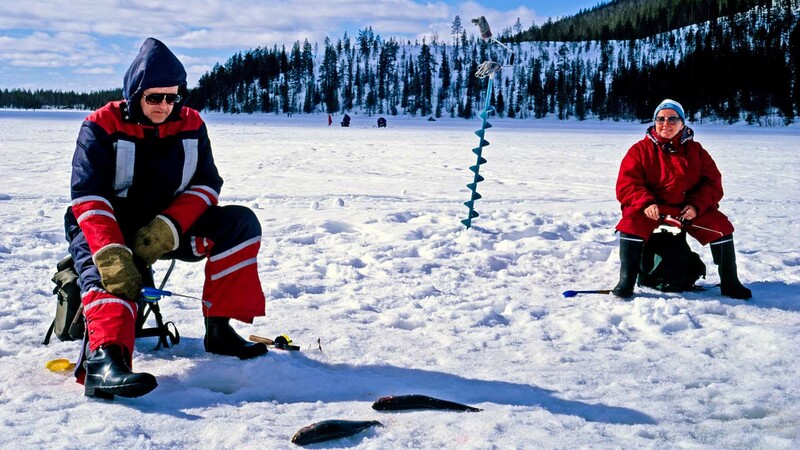 You can also take part in searching and emptying the winter nets (juomus in the regional dialect). 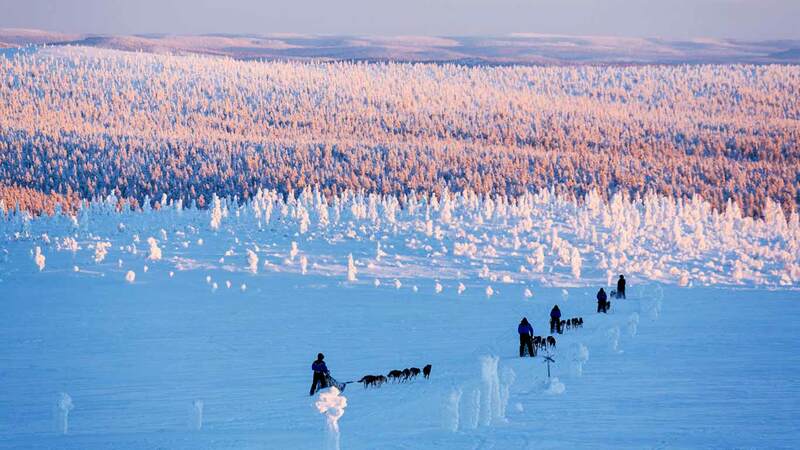 After a lunch prepared over an open fire, we’ll ride snowmobiles to a church in the wilderness, at Pielpajärvi, and then on to the museum of the Sami people at Siida. 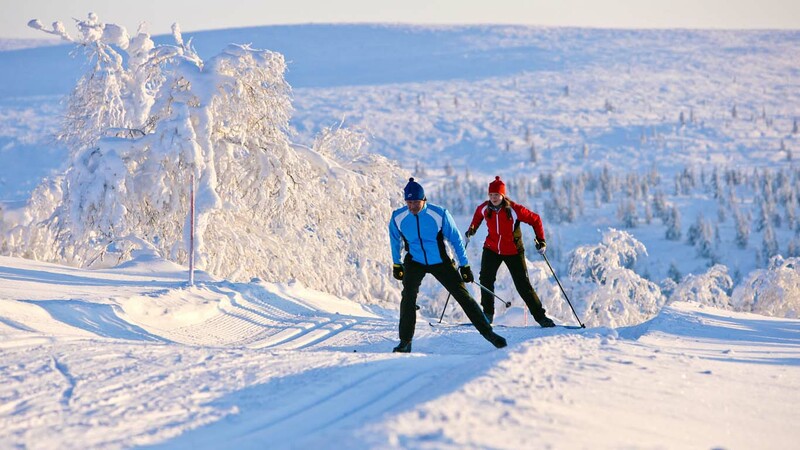 Saariselkä has frequently been ranked as one of the world’s best cross-country skiing destinations. 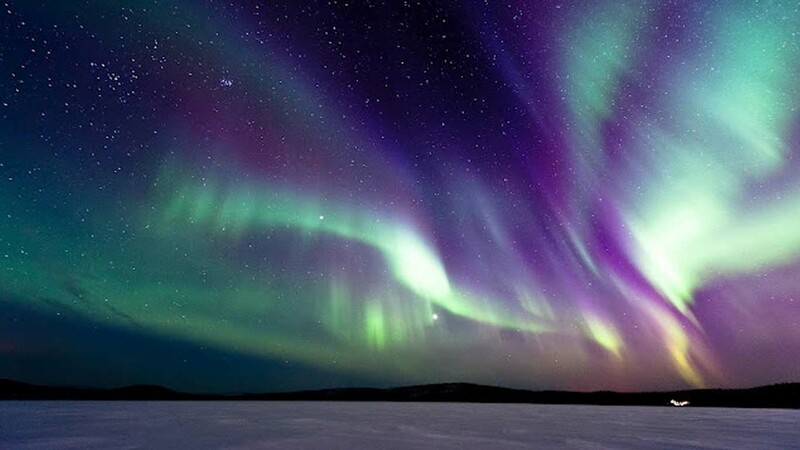 The diverse network of ski tracks runs for almost 200 kilometres, with around 30 kilometres being illuminated. 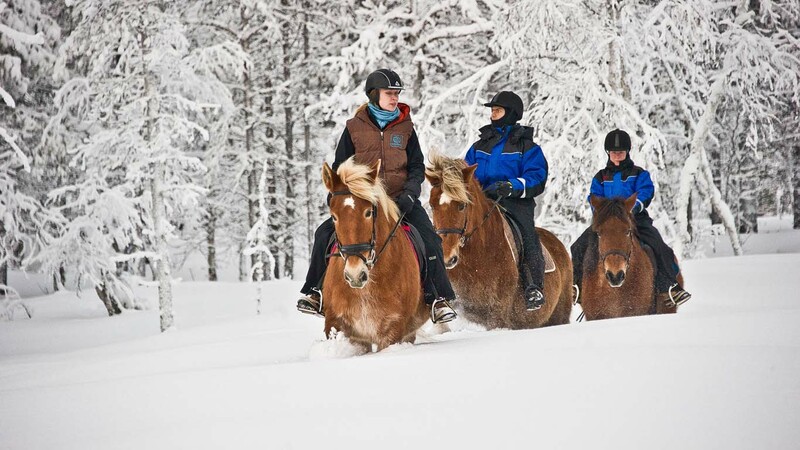 At Kakslauttanen, you can get going right from the yard of your chalet. 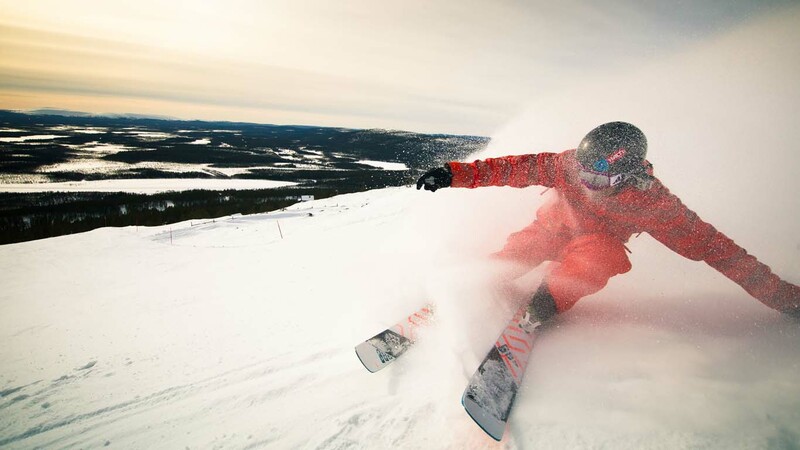 We offer ski instruction to people of all ages, and the ski bus service means you’ll be able to enjoy all parts of the extensive network of tracks. 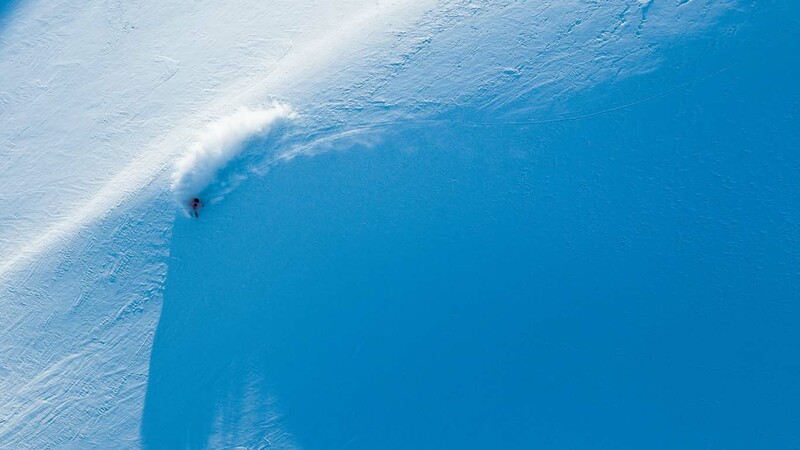 The ski season is long – tracks are usually available in October, and you can ski right through into May. 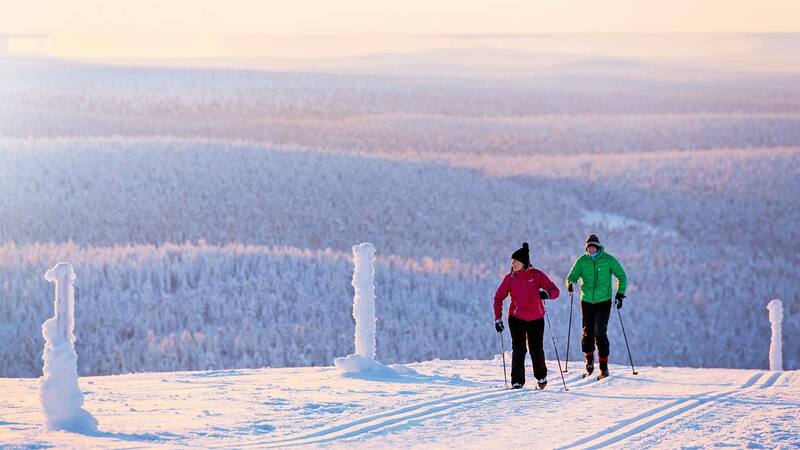 The two fells of Saariselkä, Finland’s northernmost ski centre, are just a 15-minute drive from Kakslauttanen. 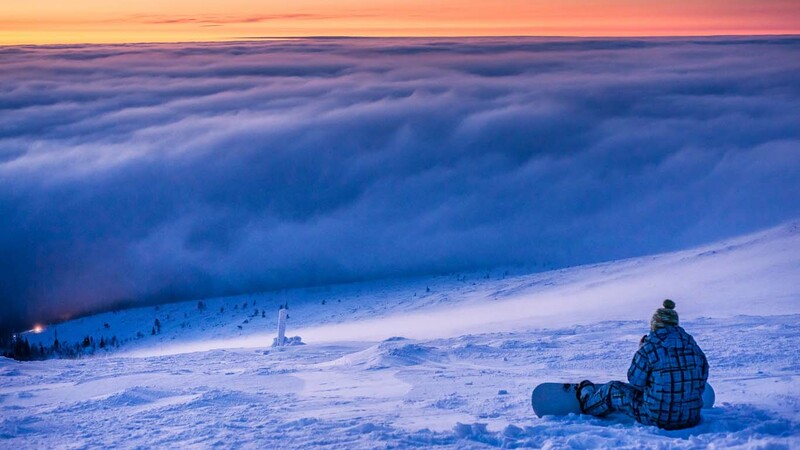 Saariselkä boasts 15 slopes of varying difficulty, and also boasts a Freestyle Park. 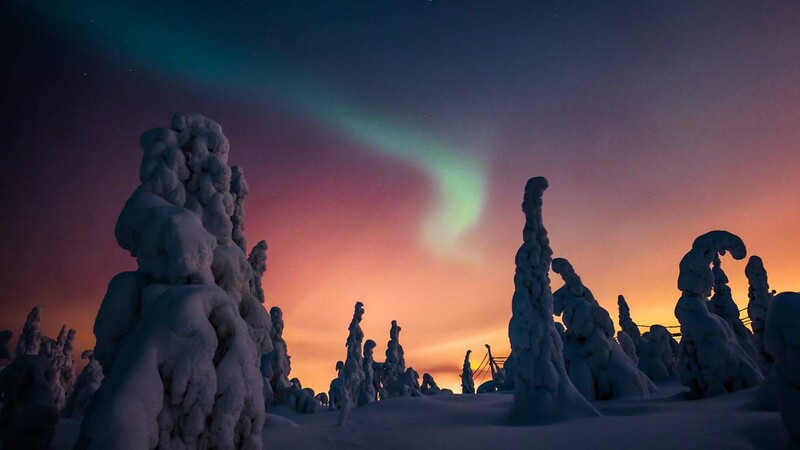 An icebreaker cruise out of the town of Kemi is one of Finland’s most popular travel attractions, and this nautical experience is within easy reach of Kakslauttanen. 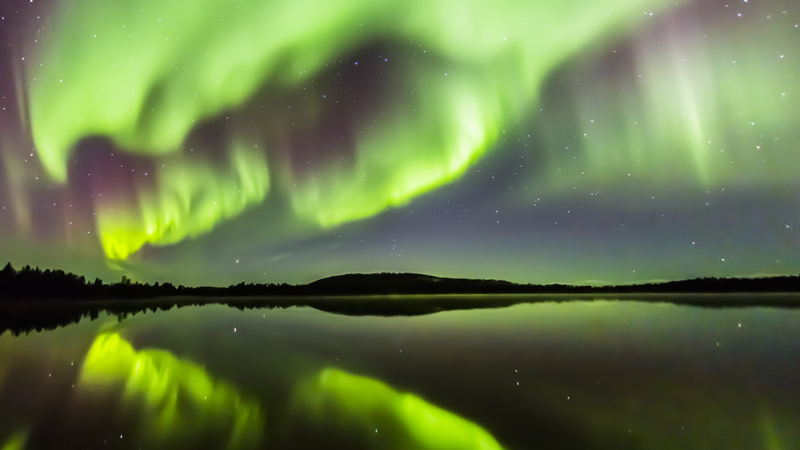 Over the course of the day-long trip, you’ll also have the opportunity to take a dip in the icy Bay of Bothnia – in a dry suit, mind you. 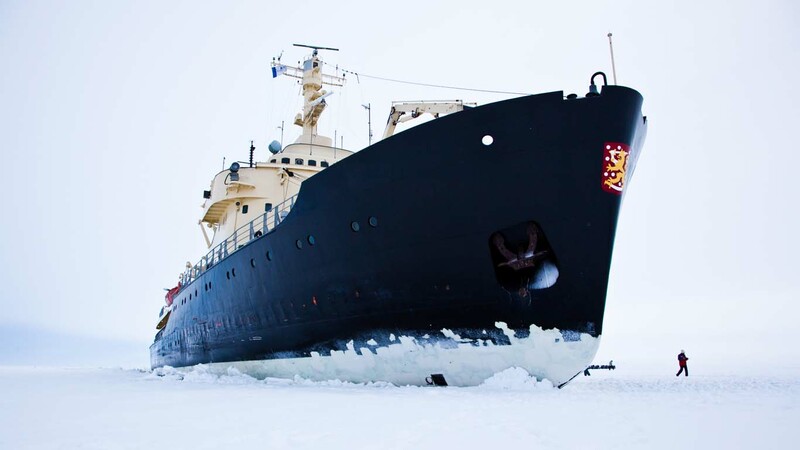 The period for icebreaker cruises extends from mid-December until the end of April.